Spent part of my day yesterday wadding individual tiles for the soda kiln. 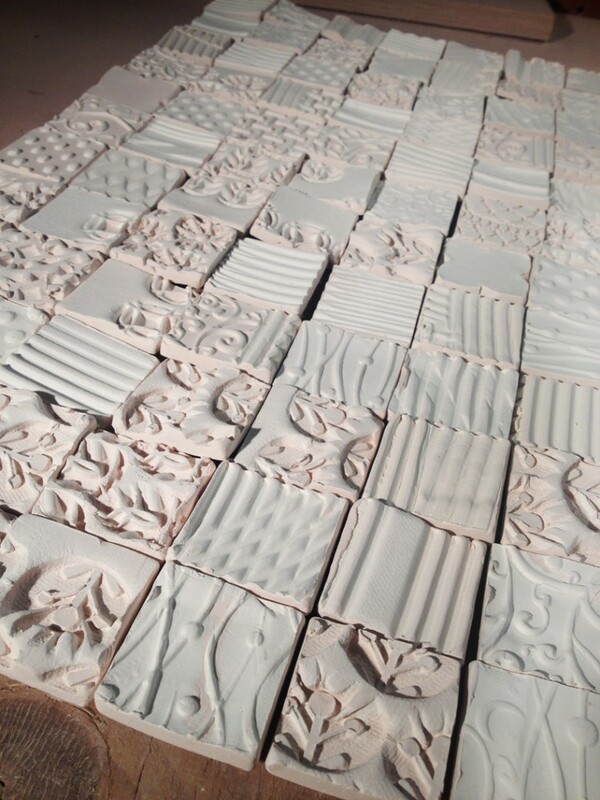 Each and every tile… one by one… wad, wad, wad… all ready to be loaded into the kiln. The perfect “kiln filler” in between all of the other pots! 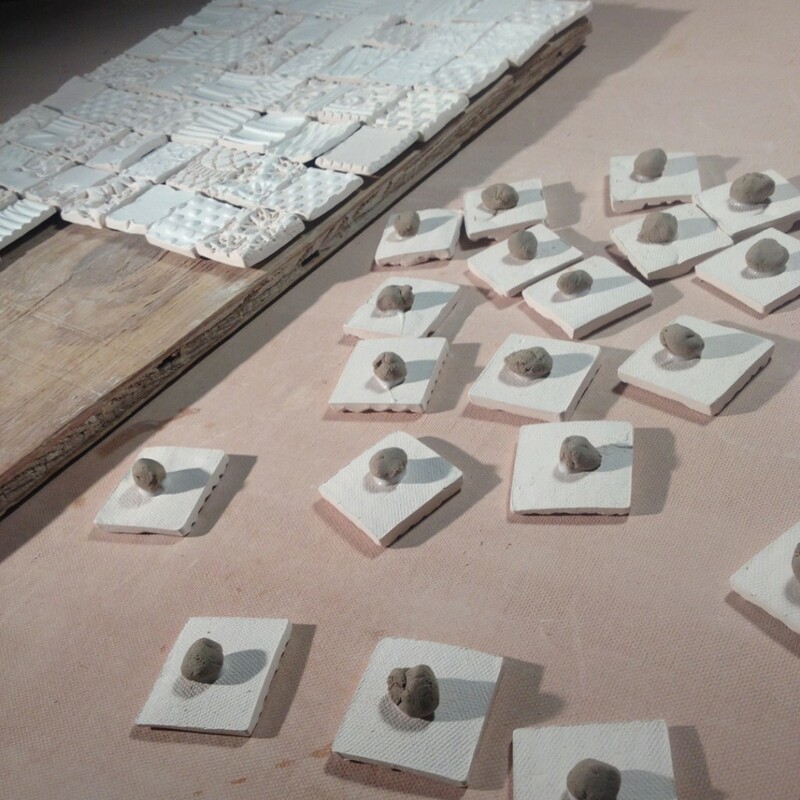 Sure, it takes me longer to load the kiln, but by the time I’m done barely any of the empty shelf surface is showing!